EHR & Practice Management Consultants offers a wide array of implementation services on various systems such as: NextGen, eClinicalWorks, Greenway, GE, Allscripts, Epic, Cerner and Intergy to name a few. 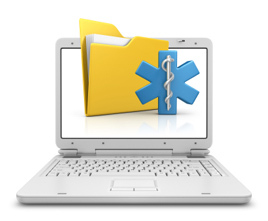 We offer implementation services in both practice management (billing/scheduling) and EHR/ EMR systems. Also, we provide practices/ hospitals with experienced, system specific Project Managers to handle the rollout of the EHR and/or practice management/ RCM systems. If your practice does not have a person currently on staff, we can provide any assistance you might need during this critical time. Also, we can recruit for you the person in case you would like this person to be a full-time individual to your organization. Our implementation consultants are certified in the following applications: Epic, Cerner, Meditech, Siemens, NextGen, Allscripts, eClinicalworks, Greenway, McKesson, and GE Centricity. To discuss how our implementation team can be of assistance, please contact us at or call 800-376-0212 ext. 1.